MEANING OF NAME: Kala was named after the village she was rescued from which is at the south-eastern coast of Sabah. HISTORY: Kala arrived at our BSBCC in January 21st, 2015. She was estimated to be just two or three months old, so little Kala had been separated from her mother at a very young age. She was bought by someone in Kalabakan-Sapulut road nearby Maliau Basin with the intention of saving the cub then to be surrended to the Sabah Wildlife Department’s Wildlife Rescue Unit. Kala was emaciated, dehydrated and malnourished. By then, her weight was just 3 kg and she was very small. PERSONALITY: Kala has progressed well and developed new skills during her rehabilitation. She is growing bigger and stronger. 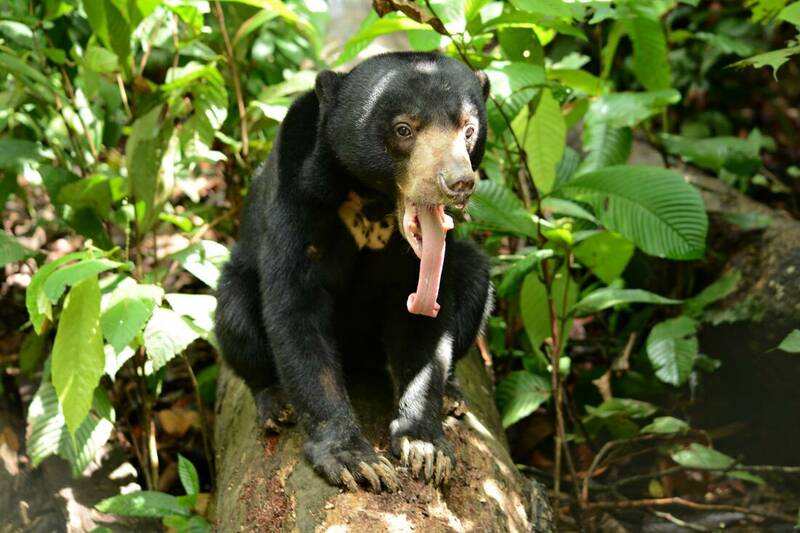 She is a gentle and energetic sun bear, but knows well to defend herself in uncomfortable conditions. On February 26th, 2015 Kala caught her first glimpse of the world outside the forest. She has been exploring every patch of the forest and she is already picking out some favourite spots. Kala enjoys searching for yummy snacks including termites, earthworms, beetle larvae and she loves eating soil. Kala will use her teeth to tear into trees to get insects beneath the bark. She explores by herself and loves to run or roll about on the forest floor. Sometimes she will spend her time playing with her playmates by chasing them around. She will try to show us how great it is – a true home for her! Though there are challenges with learning skills, she keeps up her adventurous and playful behaviour. Kala is available for SHARE BEAR adoption.